Colleen from Scrappin Granny sharing a new technique to make a beautiful Christmas card. I wanted to use this new technique I just learned and make a Christmas card. 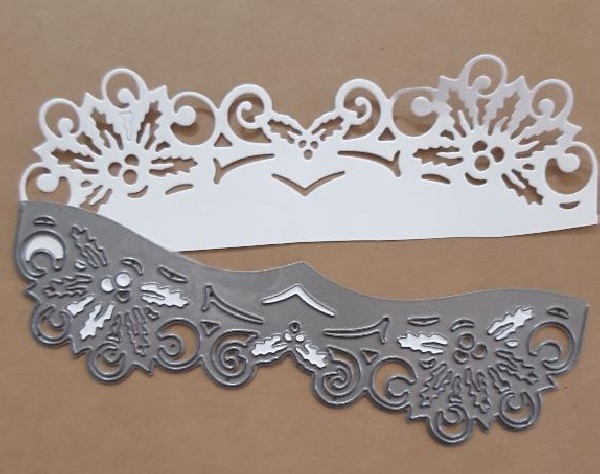 First pick out the stencil you would like to use. Then you ink over the stencil. 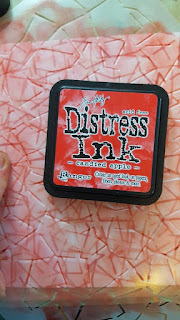 I picked Candied Apple Distress Ink by Ranger. The next step is to take your stencil and turn it, turn it any way you would like, pick another color of ink and ink over it. 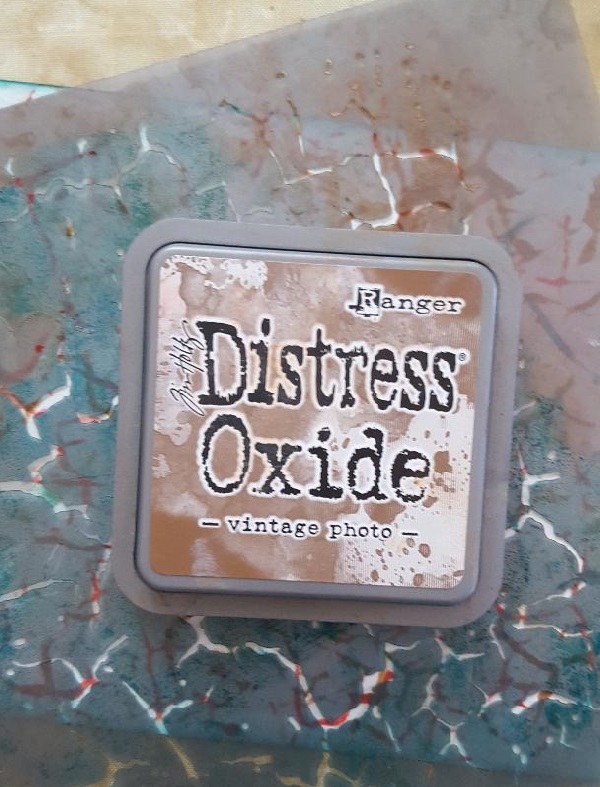 I picked Vintage Photo ink by Ranger. 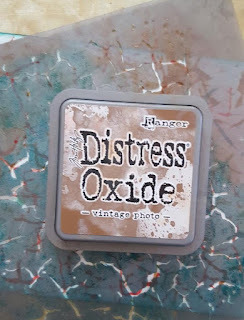 For a third color I used I used Mermaid Lagoon and also inked along the edges. I decided to only use 3 inks but if you want you could add another color. This is my finished inking and mounted on cardstock. 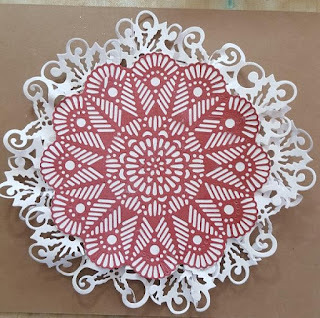 I used Classic Butterflies and Flowers by Jeanine's Art to cut out the doily. Next I used Holly Border by Yvonne Creations to cut out several borders. 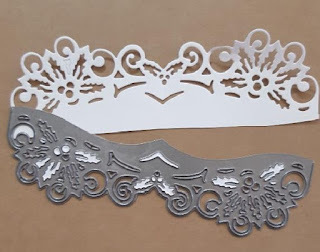 I cut the borders behind the doily. Next I used the Holly Jolly Merry Christmas by Yvonne Creations to cut out the sentiment and then back it with white cardstock. 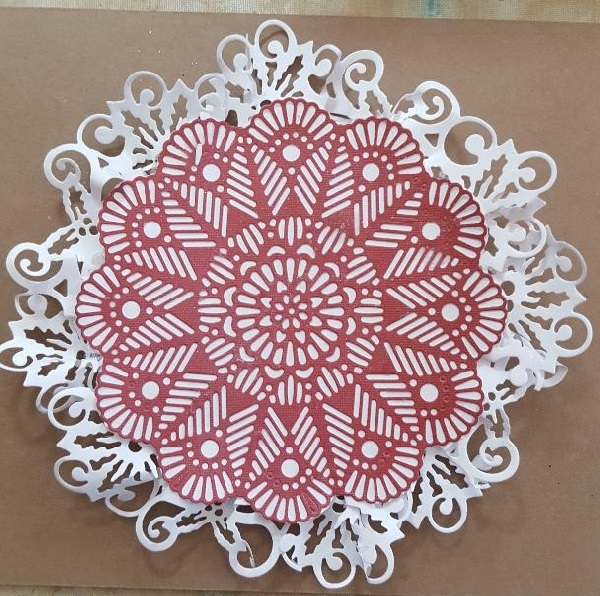 The final touches were to add pearls to the doily and cut out vines using Vine by Tutti Designs. 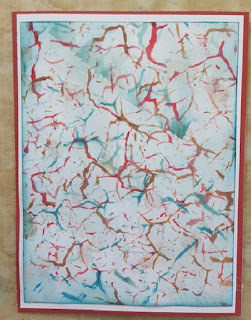 I had so much fun creating this card and I hope you will give the technique a try. 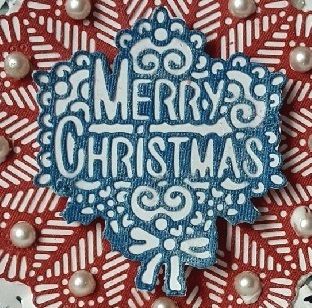 Love all the texture and technique on this fun card! Love this technique! Beautiful card! 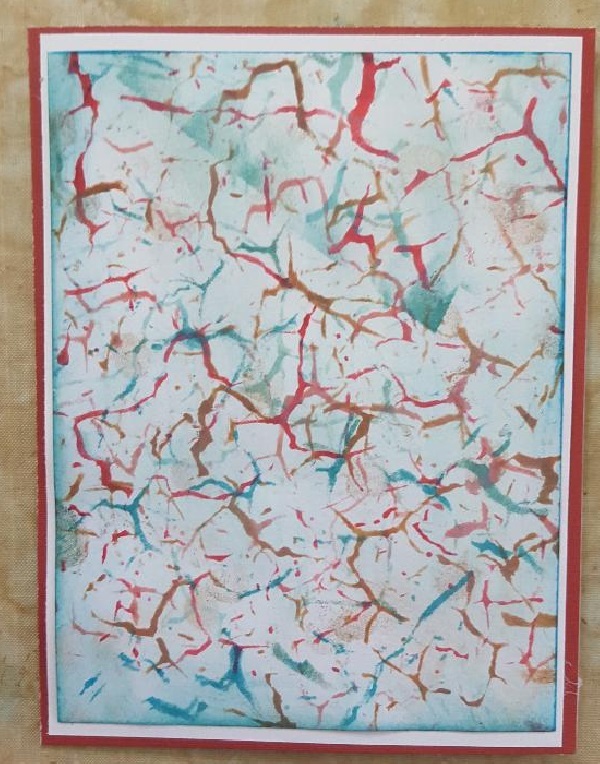 Fun technique! Thanks for sharing! Fabulous technique and beautiful creation Colleen! Thanks for inspiration! The background is lovely and your rosette beautiful. Love it!